Planning to visit Montauk this holiday season and having trouble choosing the right Montauk sunset cruise? We have put together five easy, simple tips to get out of this travel drama and make a quick decision to create an adventurous holiday experience. Decide on how long you want to go on a sunset cruise trip. There are different options available for sunset cruises, and some sunset cruise packages are designed as short journeys to give you a little taste of the feeling of navigating. A few Montauk parasailing or Montauk sunset cruise provider offers overnight cruises that are romantic and more classic choices with more time to relax and enjoy the scenery out in the water. So, having a clear cut idea about the time you want to relax, and your budget determines how long you stay on a cruise. Determine the exact location you want to go and plan accordingly. Due to massive tourism and a stupidly high number of boats, navigating Montauk coast can be disappointing. Double checking your package and ensuring that everything from food and activities is included, is a common rule among cruise operators. You should also read itinerary proposed by each company carefully. 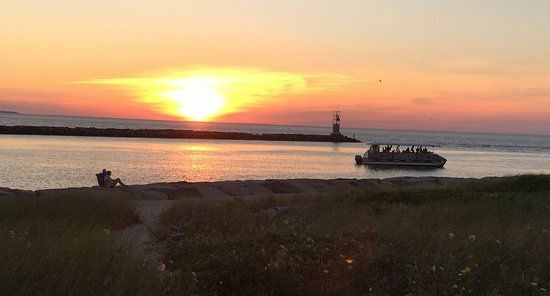 Whenever you decide on taking a Montauk sunset cruise, there is a huge range of boat styles, sizes and quality standards to cater to all types of travelers. So, perform a deep research on cruise boats before you pull your wallet. Before planning a trip to Montauk, do some research and ask around and try to get a sense of what’s a good deal. Concentrate on what’s included on the entire tour to make your trip adventurous and memorable.